Building Licences with projects through the College of Architects. Building Antiquity Certificates, Legalisations and Problem Solving. Structural Technology and Specification help if just in doubt. See recent major domestic project designs in spain. All your requirements ideas and details handled in English when possible. Don't know if its legal... See stories of illegal building in Murcia and the fines here!!! Can you build or not. Perhaps you've done the work already, now thinking, 'am I going to get fined'. Don't know who to ask?. Seems like 'Bob' the builders advice on licenses not quite the ticket. Maybe as 'self promotor' ie the owner, you've been left with a big problem despite builders promises. Once they have gone its not his responsibility, it's yours. If you are in potential trouble we can help sort out your questions about building license requirements and the problems involved, legally. We are and have access to Architects, Engineers, Cad Technicians and Planning/Licensing Law Experts, so we can help. We have offered similar architectural service for 20+ years in the UK with comprehensive architectural and specification and problem solving. In Spain we can offer you a personal project planning consultant who will guide you through each stage of your project application or minor works licence in detail. Architects in Spain are legally responsible for their work for 10 years, their signatures registered for this, as it has to appear on their final drawings etc. This of course is covered by insurance, ultimately the client pays. Architects also have a legal requirement to know Spanish law relating to all aspects of planning and regional planning laws and are considered under spanish law to be the professionals competent to be diligent in planning law. Add the requirement for project submission to the college of architects, town halls and regional committees, then this partly explains why architectural services in Spain can seem complex and can be somewhat expensive. To save on costs significantly we instigate most of the up front work as Cad Technicians, structural engineers and project photographers with on site client liaison. This is much more cost and time efficient. By working closely with our associate architects, who are fully registered college members we can quickly move your project through the system. Project and legal work is always completed by fully registered college architects. Planning and legalisation projects are officially presented in Spanish. You can also copy most information in English. This more efficient process can save the client possibly 30-40% of normal architectural fees while allowing us to offer you on site personal service. Building Plots New Builds. New Building plots can often also present problems, particularly in rural areas, even with 'planning permission' or potential planning permission. It can also cost far more than expected due to council requirements. Find out if you can build at all and what the waiting times for planning approval are likely to be for your dream house. Delays for licences can range from a few weeks to many many months depending on the location, plot status and a number of other factors including regional urbanization and zoning plans, and these laws can often change mid application. Also to consider is that all the red tape and costs associated with new build from scratch can be daunting with up to 20-25% of overall budget spent on seemingly endless paperwork, before and after building. Though it is indeed different in Spain. It's not difficult to obtain planning consent, as long as all the bits slot into place, but the language barrier and additional levels of project submission requirements through the college of architects etc tend to make it appear to be much much more complicated. We work directly with both Spanish and English members of the college of architects here in Murcia. We use the latest technology in architectural and structural cad, (Autocad Architectural) plus internet facilities to speed the collaboration and progress of projects, while keeping costs competitive. All basic information can be presented to you in either English or Spanish, liason, design modifications and problem solving are also in plain language and open. * "Informe urbanistico" from the town hall telling you what you can build on a certain plot, before you purchase it. * "Statutes of the Community of Owners if the plot is situated on an urbanisation. * "Nota simple" from the property register telling who is really the owner of the plot and if it is free from charges. * "Escritura de compra-venta" for the official purchase, signed at the notary's office and registered in the property register. * "Building licence from the town hall. * "Boletin de instalaciones electricas" from the electrician wiring the house. * "Bole-tin de installations aguas" from the plumber laying out the house. * "Certificado de fin de obra" from the architect when work is finished. * "Cedula de habitabilidad" from the town hall or regional government declaring that the house is fit to live in. * "Declaracion de obra nueva" in the form of a notarial escritura, whereby you inscribe the house on your plot. In You can leave others the task and to get these papers organised, but remember to remain in control, they have to be obtained. You are responsible. Once you get the originals keep them locked up. We can handle all this for you. But you need to be organised and very determined. Money must be at hand as needed when building new, and its essential to get your sums right. Seriously, perhaps even if you are determined to go new, also consider the possibility of refurbishing redesigning older established property. This is at least 80% less hassle. Barns, fincas etc as with uk in the past are gaining popularity. In addition to normal design, we have also built a reputation for working with ad-hoc building projects in 'trouble'. For instance projects that have been shut down by building control, councils, or for other reasons. We will analyse the situation and sort out the mess where possible. Normally we produce compliance information, structural calculations with recommendations to get owners/builders moving again with the minimum delay. In many cases this can involve situations that require retrospective planning and license submission, This is a process known as legalisation (see below). This increasingly in demand speciality has been successfully negotiating building licences for legalisation. If building work has taken place outside of licensing compliance and/or has been closed down by planning and other council departments. (see news article link above). Then if it's possible to legalise a building our experts will find the way forward and agree a strategy with local councils. There are many grey areas presented with legalisation and also options available so if there is an answer to be located we will make every attempt to find it. Cad Services.. We will produce designs for, new-build, extensions, garages, or basically anything structural. We produce project information and drawings that can range from a storage shed to a shopping complex. Our Cad and structural design office uses the latest in Autocad architectural desktop software. 3d representations for new builds and major alteration designs are often produced, to show clients both walk through and the spatial concept layout. This personal service is now available in most of the Murcia Region, Lorca, Mazarron, Cartagena and Fuente Alamo etc. 2. Styrostone (inovative, insulated-concrete cast wall structures). 3. 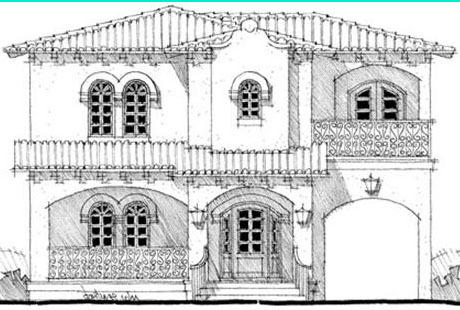 Renovation retro design, and specifications for period structures. 4. Timber frame structural design. Almost ALL building work undertaken on property in Spain involving any changes or building repairs will require one form of building licence or another prior to commencing work. Even theoretically repairing or painting your outside walls, laying paving etc needs to be covered. So its advisable not to start without a building licence or at least to know your position in relation to the law. Don't be convinced by any builder who says 'hey its ok to start work, we will sort it out later'. The licensing laws apply to the property owner not the builder. You will get the repercussions, not the builder. Dont build without the building licence in your hand. Planning laws in Spain are not really any more complex than the UK, but they are certainly more fragmented and completely different, so its safer to know where you stand before you make even the most insignificant changes to property. eg Raising of existing walls or building new up to 1.5m, relocation or addition of gates, fencing, railings. Changes or replacement of windows, doors, security grills, painting of exterior walls, repairs to waste pipes, roof repairs, laying of concrete and terracing, pre building groundwork, advertising signs etc. Minor work applications are a relatively simple procedure (also less costly) and can cover much basic building work, Obtaining a minor works licence is a relatively simple procedure and with the right advice you can often do it yourself. You don't need an architects project for minor works but advice may be needed how to handle it to reduce costs. Simple drawings may need to be prepared and many people can produce an adequate plan for minor works. However anything of a structural nature will almost certainly require a building licence linked to a detailed architects project or mini project, involving drawings and specifications. Though its advisable to get a minor works licence before work starts it is still possible to do this slightly but not too retrospectively for very small works. There are many gray areas relating to what can be done with little or no structural component in renovation work under a minor works building licence. A finca say in reasonable existing condition could in theory be renovated this way as a whole series of minor works, if very conservatively described, under one licence. But advice on how to approach this could save money. But this would be subject to the existing structural integrity being reasonably sound and no large adjustments in the basic layout of habitable space as described in the esritura being made. Structural or 'major' roof repairs would also be an area to watch if attempting to use this licensing method. This could save on the expense and red tape of a full project. However, always take advice, as anything deemed structural or involving significant changes will tip the balance at the application stage towards the requirement for a project based planning submission and licence. ie Major works. Though rare, there is also a possibility proposed works may be inspected prior to commencement by town hall officials. eg Installation of pool, building a house or underbuild extension, new garage, reforming a cellar or underbuild, converting a terrace or solarium to habitable space, or a complete new house. We produce all plans and specifications directly, including active liason with the client, this is then submitted as a joint project with our team of Spanish and/or English associates who are all members of the college of architects. We can usually fast track applications through our association with the college of architects. Our total architectural fees can also be up to 40% less than some competitors. The cost of this licence is more substantial and dependent on the degree of works required. You will usually need an architects project for larger works. Almost anything of a structural nature will require a building licence which is linked to a specific and detailed architects project. This involves drawings, calculations and specifications. The project can only be produced and presented by a qualified architect who is a member of the college of architects. Often if there are structural considerations to the project a technical architect (aparejador) is also consulted to equate calculations. At the college of architects all aspects of the project, escritura, land use etc is taken into consideration. They act very much like a planning and building control rolled into one. A visada is produced in the form of a bound folder of drawings and information. This document is used to submit the actual licence application to the local council/area council for final approval. This is a separate stage in the process. All rebuilds, new builds, extensions or any work involving structural components, e.g. roof stucture repairs, other than re-slating, will normally require a full or 'small' project, as described above. The building licence is perhaps the most important document you can have when working on property. Without this, police have been known to seal and blue tape the offending property if work has started without one, items such as building materials, tools and machinery could be confiscated, builders executed, (just joking, registered builders still survive)), and then allowing no re-entry to anyone including owners until the paperwork is sorted out and the fine paid. The cost of a licence depends on whether you are creating living/habitable space or not. Living space is based on the area of construction in m2, being created. Either a new house or additions if extending. The fee is based on a percentage of the 'projected' nominal building cost and works out in the Marsha region around 6%-7% of this cost although each council actually decides its own level. 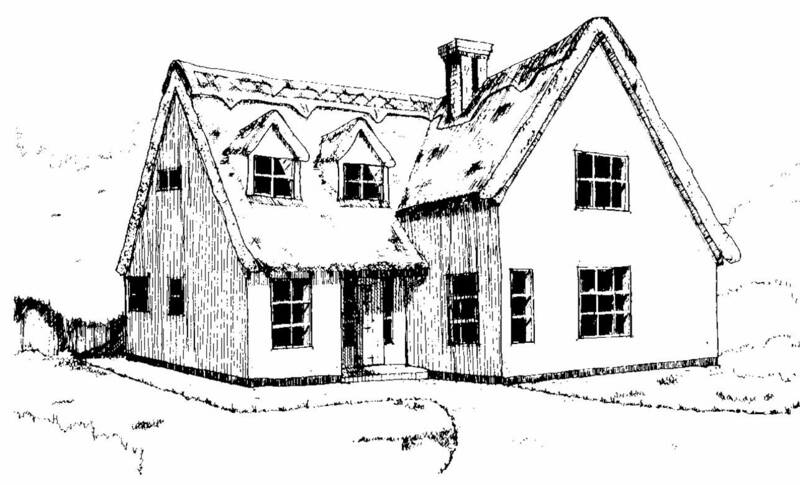 Building works other than actual living accommodation such as structural work or no habitable space, even if included in a project are often based more on representative costs of actual works, some councils opting for a type of 'menu' of works to calculate licence fees, others may use builders estimates, providing they correspond reasonably to the guidelines or 'menu' of prices hectic. In most developments the habitable space allowed is limited to a percentage of plot area. The calculation rules for this are not always straight forward. Its best to get advice. Local council Planning and Licensing departments in Southern Spain have recently been really tightening their grip on past and present illegal building. This type of building if you look closely really is actually getting out of hand, read this. The fines can be punitive, costing the owner far more than the original architects bill and the licensing fees, which will still have to be paid anyway. Its prudent to get your licence first, you know it makes sense. eg When work has been completed without a licence, provided the work would actually have been granted a licence originally its often possible to make a retrospective licence application. Drawings must be prepared and necessary documents drawn up for submission, often a full project application will be needed to be submitted through the college of architects prior to obtaining a correct licence and before official changes can be made to the escritura hectic. There are some grey areas here with the process of legalis at ion and if there is a way to make it happen for you we will negotiate every possibility with your council. Projecto de Legalizacion If you have changed the layout or structure of your property, then attempting to sell it without the changes being registered on your escitura/certificate of habitation can cause problems and delays. This is because the written detailed description of the property as registered is now not accurate. This alone can hold up the sale of property until it has been addressed. Banks are also very reluctant to lend on property without everything legal. This is because their security may later be compromised if councils decide to retrospectively act on illegal building and issue fines. These fines are always levied on the current owner but the house, so will also constitute security for the bank. Obviously in the selling process any changes of structural nature or obvious building work are revealed anyway. So if you have built recently, without a licence, and not yet been caught. Then speak to us about the possible legal solutions available to you, possibly avoiding a potentially painful experience. In many cases legalis at ion is possible. But it can be subject to many factors including habitable space area calculation formulas and boundary clearances rules to name just two. If there is any possible way to legalise your project we will attempt to find it. The first course of action is always full legalis at ion if possible. Sometimes this may mean that structural changes may be needed to unsafe work already done unless calculations/survey justify the existing structural integrity. If it is impossible to legalise in the normal way then the second option becomes available after a time limitation. Informe Tecnico & Cadastre Declarations. Extensions and other building works that have been added illegally also have a sort of statute of limitations, but that's if you don't get caught, by precedent this is currently four years until you can safely declare it. What this means is that a registered architect can draw up plans of the building complete with additions, specifications and photographic evidence of the work done. Then he can and produce what is know as a Informe Technico. This document, similar to a small project in content is then used to legally inform your council that the work has been done already, also that it has exceeded the requisite time in elapsed years since its construction. This is possible as long as the work meets certain structural criteria, also that tangible proof of actual building dates can be produced, ie builders receipts etc. When the informe is submitted to the local town council and cadastre, as it is not an actual building license process so a small administrative fee is often charged by the council and it is 'stamped', you pay some back tax if it increases your ibi tax. This ensures legally that for the declared building works at least, fines cannot be imposed in the future. This informe document is also used with your escritura and essentially serves as protection for future owners of the building. Also buyer beware, if a house has building additions and this is not declared before or on sale date both sellers and buyers leave themselves open to a number of offences including tax evasion, also the description of the house is false. Also the clock is reset on any additions which are now the responsibility of the new owner. He will have to wait a further four years to obtain an informe unless he can prove it was there before. See above re notary. Why, because at the notary he asks if the escritura is a true description of the property. If this is not the case and lies are told we are in trouble and the description remains on register from the sale date as it was prior to any building additions. For potential buyers this is not good. An informe though effective against fines is not as secure as a full legalis at ion project, the preferred method. Legalis at ion can be done anytime, as long as it's possible to do at all when taking into account all current criteria. The only option open, if building legalis at ion by project is not possible, is to wait and hope that an informe technico is still available as an option. Planning laws do change, and the informe technico can ONLY be implemented after 4 years under present legislation. But during this period fines can land at your door any day, if building work is reported by friendly neighbours, or surveyed by council spot checks hectic. hectic. Councils need more money, times in Spain are not easy right now. Councils are getting their act together and their lawyers are also being told to be much more intense in their licence evasion prosecutions. Especially, it seems also that non spanish are favourite targets. Money is now being spent on locating property and licensing offenders before the four year limitation expires and certain well known areas as we know have limitless targets, ie. small additions and illegal changes that could become a fines bonanza and new council piggy bank once this process gains momentum. Best to make sure you are legal before it starts to bite. Remember you can be fined up to 60% of estimated building costs plus your own costs. And you will still have to legalise. Basically just adding patios, porches, conservatories, garages or just glazing in an open balcony can result in licensing problems. But many works are simple minor procedures, with minor works licensing applications basically becoming a simple tax gathering exercise for local government, but with major works it is more complex. We are here to help. Industrial and Commercial, everything you need, sorted. Building Licences, Planning Applications, Construction Regulations & Specifications. Legalisations in Spain where possible, advice, presentation and local submission of appellant justification applications made. Minor works, design and licence applications. All major & minor project applications in Spain submitted. Provision of project management if required, partial or full, and to any completion stage. Site Advisory, Structural Calcs. Justification & re-specification. Unforeseen Problems, Job stopped. We can also offer a rapid solution for builders. Liaison with council chief architects & college of architects in Spain . Working a solution for you, we provide the drawings/calcs. You complete your project. Plus we are on hand for on site advice on your requirements and adjustments locally. We are usually able to provide substantial overall savings on project and licence application costs. All Drawings and Specifications are produced in Autocad Architectural Desktop. Features & Sales Video. Medical, Industrial / Marine & Aviation. Manufacturing & Product Training. Productions by experienced, qualified engineers.